key information in a unique platform. Access to real-time critical data derived from customers, orders, deliveries,.. from anywhere. 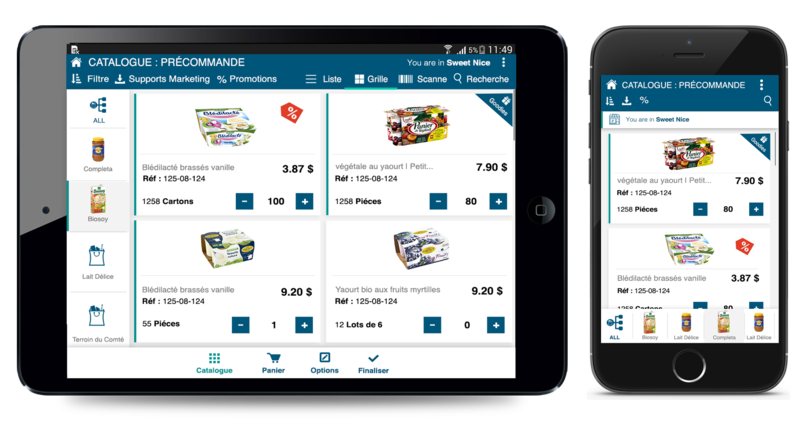 With Valomnia you can access informations relating to orders and pre-orders and filter results easily with the differents attributes (payment method and status, delivery status, amount of the order, etc.) and then convert them to invoices. 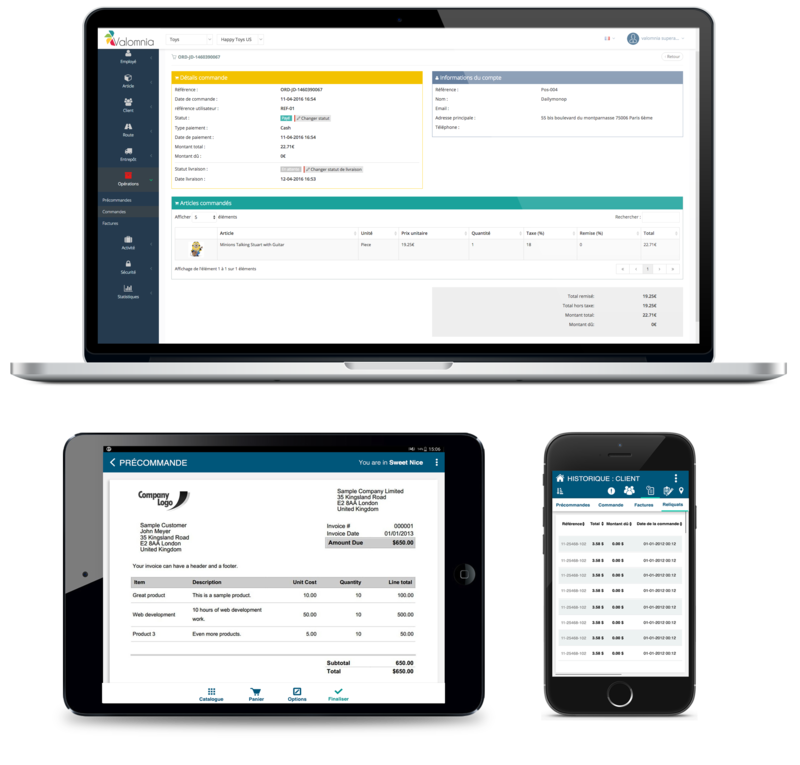 The solution allows your sales reps and vansellers to generate orders, pre-orders and invoces via their mobile devices even in off-line mode and then save them and send them via email to the Customer. Control your van-sellers and sales reps performance by receiving check in and check out notifications, setting sales and delivery objectives and comparing realisations against expectations through different KPIs. 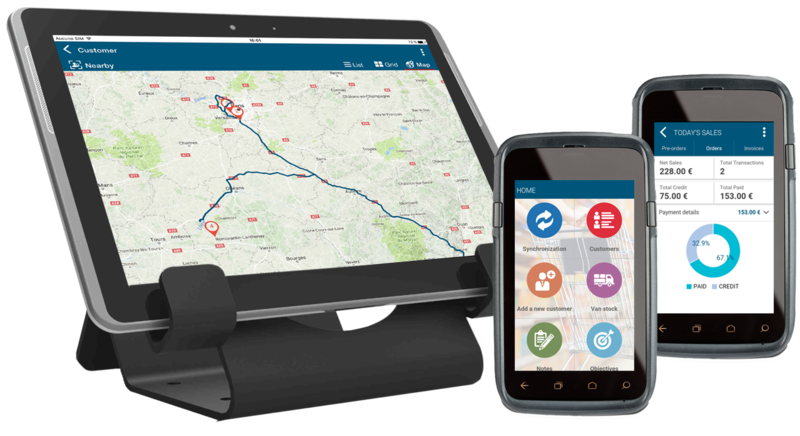 With valomnia you can optimize your vansellers’ routes and plan their visits. Valomnia allows you to arrange your clients by routes and to schedule teams in the field s’ daily planning, specifying the number of clients and the visits order they should follow per route and per employee. Valomnia helps you to track employees’ progression and communicate with them in real time through notifications.